Translation Tribulations: Doing memSource better in memoQ with @wasaty! Doing memSource better in memoQ with @wasaty! This post has been updated. The good two-template solution has been improved to make a one-template solution. This is user engagement at its best in the world of memoQ. 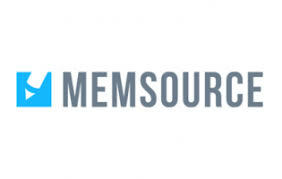 Marek Pawelec (aka @wasaty), one of my favorite technical solution finders in translation, has published an effective improvement for those who prefer to do memSource projects in memoQ. I have done a good bit of this in the past, as I greatly dislike the limitations of the memSource local editor and dislike browser environments (from any firm) even more for translation, but the funky interpretation of XLIFF used by that tool requires some custom filter configuration to enable work to proceed without the risk to unrecognized tags. Even so, the inability to transfer match percentage information and locked status for segments gave me more than a few headaches with these projects. Someone at Kilgray mentioned a while ago that a proper memSource filter had been considered, but that resources were, alas, focused on other priorities, like 8.x "fixes" to features that weren't broken so that life would become more interesting for legal and financial translators whose work was becoming too easy with memoQ 7.8. No matter: once again, Marek has come through with an excellent professional solution for doing memSource better in memoQ. Currently, this template is the best technical solution for working more efficiently and accurately with memSource MXLIFF files in memoQ and will probably remain so until Kilgray does get around to creating a properly integrated filter with configurable options. So if you have valued customers who use memSource but you want to leverage all your memoQ resources to do the work better, Marek's template is for you. Check out the detailed description and instructions on his blog!